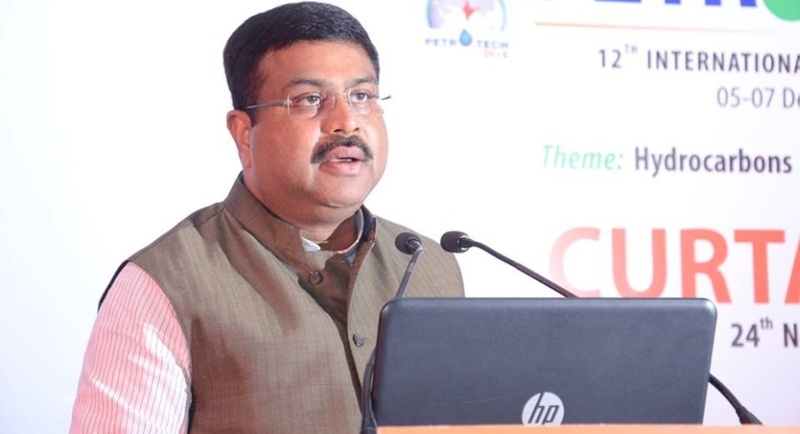 Union Petroleum and Natural Gas Minister Dharmendra Pradhan on Friday launched the Pradhan Mantri Ujjwala Yojana in Himachal, benefitting about 3 lakh BPL families in the state. Pradhan said that two LPG bottling plants and 50 LPG distribution centres would be opened in Himachal. The scheme aimed at providing five crore LPG connections in the name of women of BPL households across the country and the government has set a target of distributing five crore LPG connections to BPL households across the country, he said. He said that as of date, 2.25 crore new beneficiaries had been covered under the scheme in the first year of its commissioning in the country. The total number of active LPG consumer has crossed 20 crore and there had been a quantum jump from 14 crore in the year 2014. A provision of Rs.8,000 crore had been made by the government for implementation of this scheme over three years and every household in Himachal would have LPG connections in next one or two years, he said. The Union Minister informed that there were 172 distribution centres for LPG in Himachal Pradesh and 50 more centres would be opened in next few months. Himachal Chief Minister Virbhadra Singh said that there were about 2,82,370 BPL families in the state who would be benefited from the scheme. Stressing that 'Mata Shabri Mahila Shastikaran Yojna' was being successfully implemented in the state under which 50 per cent subsidy was being given to the women of schedule caste category of BPL families on LPG connections, Singh said that the Ujjawala Yojna was an expansion of the existing scheme. Under the first phase in Solan district, around 200 families were distributed LPG and so far and 1450 BPL families have been registered.